Although the law historically distinguished between children and adults, a separate juvenile court system did not exist in the United States until 1899, when Cook County, Illinois formed the first juvenile court. The concept caught on relatively quickly across the country, with Cuyahoga County establishing the first juvenile court in Ohio in 1902. By statute, the juvenile courts in Ohio have exclusive jurisdiction over many matters regarding children, including but not limited to hearing matters regarding juvenile delinquency, child abuse or neglect, certain criminal violations by adults, and reviewing any time a child is taken into custody pursuant to statute. The cases assigned to the Juvenile Division of the Wayne County Prosecutor’s Office primarily involve either children alleged to have violated a law or those alleged to have been subject to some form of mistreatment. Regardless of the underlying facts, the juvenile court process is regarded as civil (as opposed to criminal) in nature, and it is governed by the Ohio Rules of Juvenile Procedure. The goal is to provide for the best interests of the child, whether rehabilitating a juvenile delinquent, or partnering parents with resources to correct the concerns that required the court to intervene. 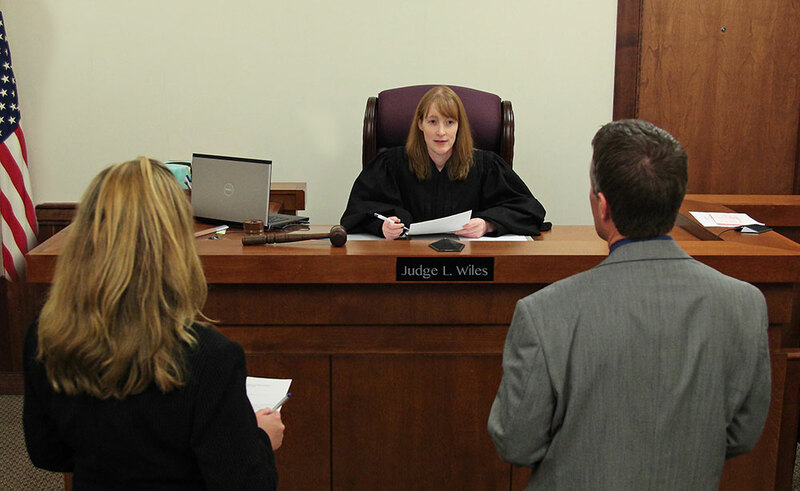 In addition to having different goals than the adult court system, juvenile court uses unique terms to describe similar events. For example, rather than conducting a “trial”, a juvenile court holds an “adjudicatory hearing”. Apart from the different terms and goals, the various stages in the process are similar. The typical juvenile case begins with information provided by law enforcement or the local children’s services agency. The information is screened by one of the assistant prosecuting attorneys of the Juvenile Division who may file a complaint based on the facts if the situation appears to warrant intervention by the court. The court sets the complaint for an initial adjudicatory hearing at which time the parties appear and are formally advised of the contents of the complaint and of their various rights. Next, a pre-hearing conference is held, at which the parties and/or their counsel meet and discuss the allegations contained in the complaint. If there is no agreement regarding the matter, the court sets the case for adjudication. At adjudication, the opportunity to present evidence is given to both sides to prove or disprove the allegations in the complaint. If the court finds that the allegations are proven true, then the matter is set for disposition. Generally, disposition is the final step for a delinquent or unruly child, whereas a case involving a child that was found to be abused, neglected or dependent may have further hearings to review progress with ordered services and/or possible alternative placement of the child outside the home.